There’s no doubt that Puerto Rico is one of the best vacation destinations in the world. The island dubbed the “Isle of Enchantment”, has a limitless variety of fun activities and adventures for every type of tourist. So whether you are a foodie, a beach bum, or the adventurous type, you will definitely find a vacation here fulfilling and relaxing. One of the main tourist attractions of the Isle of Enchantment is the sandy coastlines. It’s long, wide and blessed with a sheltered cove, crystal-clear waters, soft white sands, and gentle waves. No wonder it was voted the world’s third best beach at the TripAdvisor Travellers Choice Awards. So, what exciting activities can you enjoy in one of the best beaches in Puerto Rico? Flamenco’s shallow and clear waters make it the perfect beach for both seasoned and novice swimmers. The swimming areas here are marked with visible buoys to prevent you from going too deep into the ocean, especially if you haven’t mastered your swimming skills. The year-round tropical sun allows you to sunbathe as much as you want. Just be sure to wear enough sunscreen to avoid sunburns. 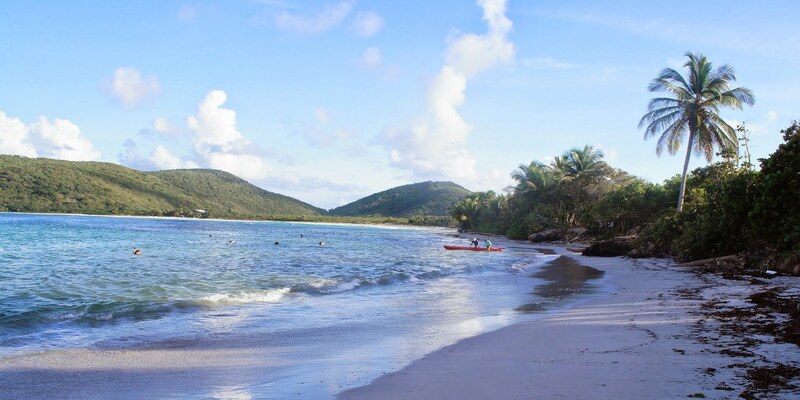 Flamenco is more serene and scenic than any other Culebra Beach you can think of. Therefore, you will need a fun way to get around. Long walks are awesome but they can be tiring. Fortunately, you can take a horse instead. Apart from the scenic beachfront, you can also enjoy the horse rides through the forest trails. Just make sure you wear closed shoes and jeans to avoid scraping. Offshore the Flamenco Beach is a mall reef that’s home to different species of fish, urchins, and other forms of ocean life that you can enjoy while snorkeling. It is a fun way to explore the marine life in the area and enjoy the thrill of deep water diving. For the most breathtaking views, snorkel towards rock outcroppings. Beneath them are magnificent brain corals that house blue tangs, parrotfishes, and wrasses. The whole snorkeling experience will be an adventure of a lifetime. Your tour guide will pick you up with a speedboat and drive you off the shore to the drop-off. On the way, you will take in a scintillating tropical breeze and scenic views of the Caribbean sea. Upon arrival, your instructor will ensure that you have put on all the snorkeling equipment before you take the plunge. 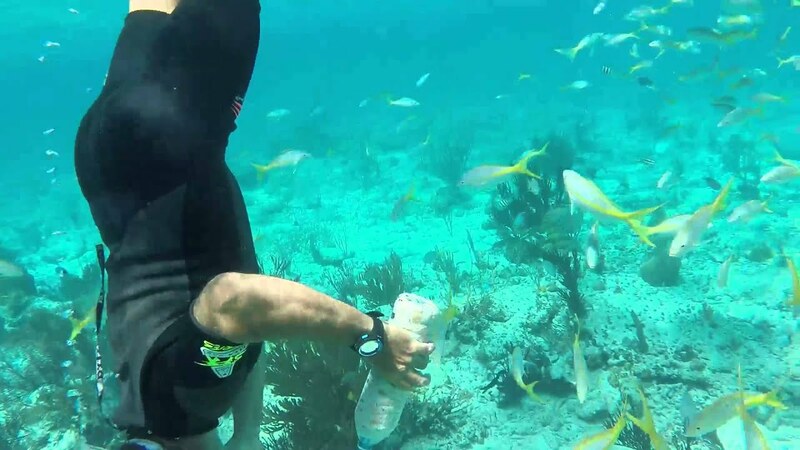 You can bring your own snorkeling equipment, buy, or rent at one of the dive shops in Culebra. Kayaking is a good way to experience the natural beauty of Flamenco’s Horseshoe Bay. It is also a good way to exercise and indulge in other fun activities such as fishing, camping, and swimming. 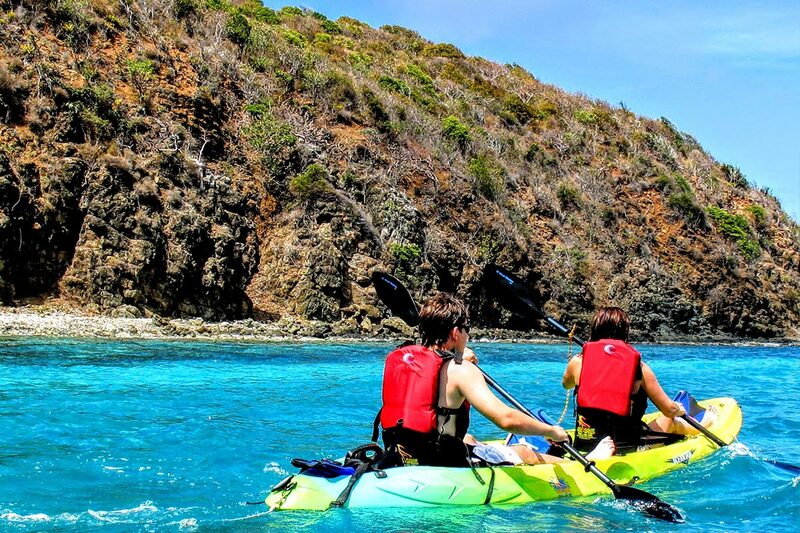 For the ultimate kayaking experience at Flamenco beach, hop into a double or single kayak and then paddle through the beautiful sandy beaches and lush rainforest in the area. After an hour or two of exciting paddling, you can catch your breath at one of the nearby, beautiful islands. You can also take a plunge into the clear waters to enjoy the colorful coral reefs and the different varieties of fish. If snorkeling is not your thing, you’ll definitely have fun kayak racing with your family and friends. Your tour guide will help you pick the right kayaks for racing. The Horseshoe Bay near Flamenco Beach is perfect for hiking. So ensure you bring your camera and trail shoes, and capture the tropical nature at its best. Don’t forget to pay the old World War II tank on the beach a visit. After a fun-filled day at the beach, you will most probably want to relax in a serene restaurant and enjoy a tasty meal. Lucky for you, Flamenco Beach is littered with great restaurants offering scrumptious local cuisines including Empanillas, Tostones, Pinchos, and Surrullos—just to name a few. Don’t forget to try out the famous Puerto Rican rums while you are at it. Regardless of which means of transport you use, Flamenco Beach is easily accessible. If you are renting a vehicle from the airport, drive down 251 Main Road and follow it all the way to its end. Alternatively, you can take a taxi from the ferry or airport to take you to the beach. There are a number of great hotels at the around the Flamenco Beach including he Kokomo Hotel, Club Seabourne, Tamarindo Estates Beach Apartments, Bravo Beach Hotel, El Blok Hotel, Malecon House, and many more. Puerto Rico beaches don’t get any better than the white sands of Flamenco Beach in Culebra. Enjoy your stay! Hey Buddy!, I found this information for you: "6 Exciting Things to do in Flamenco Beach". Here is the website link: https://caribbeansbest.org/6-exciting-things-to-do-in-flamenco-beach/. Thank you.